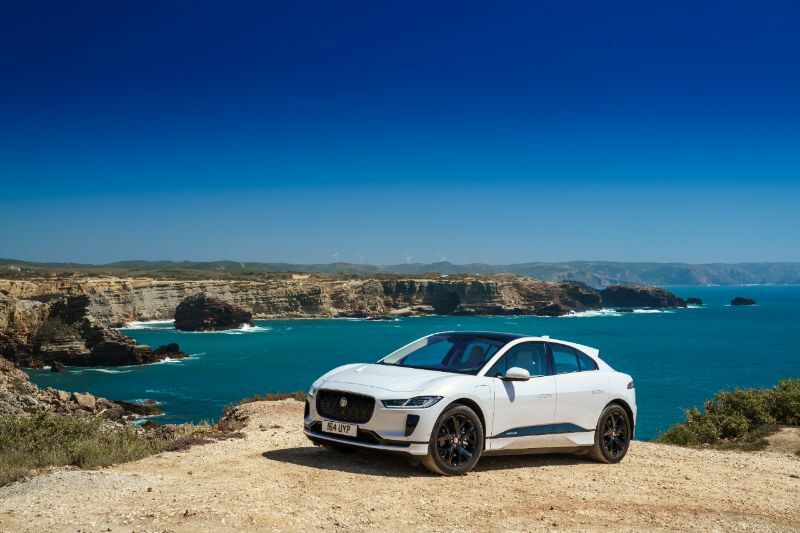 The 2019 Jaguar I-Pace is the first electric SUV made by one of the traditional automakers, competing directly with the Tesla Model X. Mercedes-Benz, Audi, and Porsche all have planned competitors for this segment, as well. For now, the 2019 I-Pace stands up against just the Model X and perhaps the Model S. The powertrain is all-electric, and the interior is spacious, although buyers do need to be ready for an unconventional shape and a high price tag. This price does make sense since the I-Pace comes from Jaguar and is a luxurious auto. When you drive the 2019 I-Pace, you will be ready to take advantage of its 240-mile range. It also has the performance you expect from a Jaguar, reaching 60 mph from a stop in just 4.5 seconds. The 90 kWh battery delivers its power to two electric motors, delivering 394 horsepower along with 512 pound-feet for torque. The motors send the power to all four of the wheels and can vary the feed based on wheel spin. 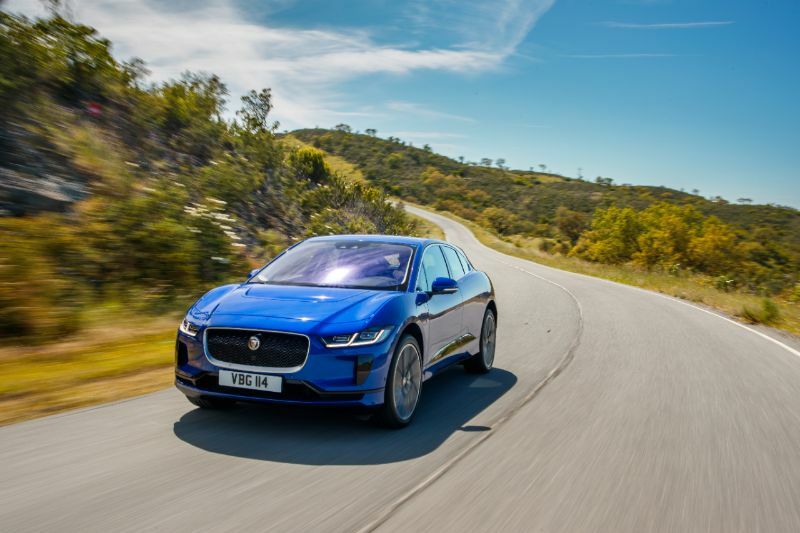 The Jaguar I-Pace is at home on the curves of a racetrack or on a winding road. In terms of charging, the I-Pace supports 100 kW quick-charge, letting you recharge it up to 80 percent in just 40 minutes. Or use your regular Level 2 household outlet to charge it for 13 hours. Acceleration can include low or high regeneration, letting the car use its motors for catching energy that could be lost deceleration. The Jaguar I-Pace has a unique styling, more rakish than the average crossover. The exterior features organic, flowing lines complete with dramatic curves. The sides of the body are shaped like waves and leading to a practical hatchback. The interior styling of this 2019 EV is minimalistic and futuristic. There is a conventional gauge display plus a 12.3-inch infotainment touchscreen and a lower touchscreen for vehicle functions and climate controls. Instead of a rotary drive selector, you get buttons for reverse, neutral, drive, and park, delivering a space-age feel. The I-Pace has a 117.7-inch wheelbase and measures 184.3 inches long with seating for five passengers. The front gets performance or sports seats with good bolstering and a minimum of 8-way adjustment. Higher trims deliver genuine leather, heating, cooling, and extra adjustment for the performance seats, which have excellent shoulder and back support. The rear-seat passengers also will find the wide door openings make it easy to get inside. However, those taller than 6 feet may come close to hitting their heads on the panoramic glass roof. In terms of SUV versatility, the I-Pace delivers 25.3 cubic feet with the rear seats upright or 51 cubes with them folded down. 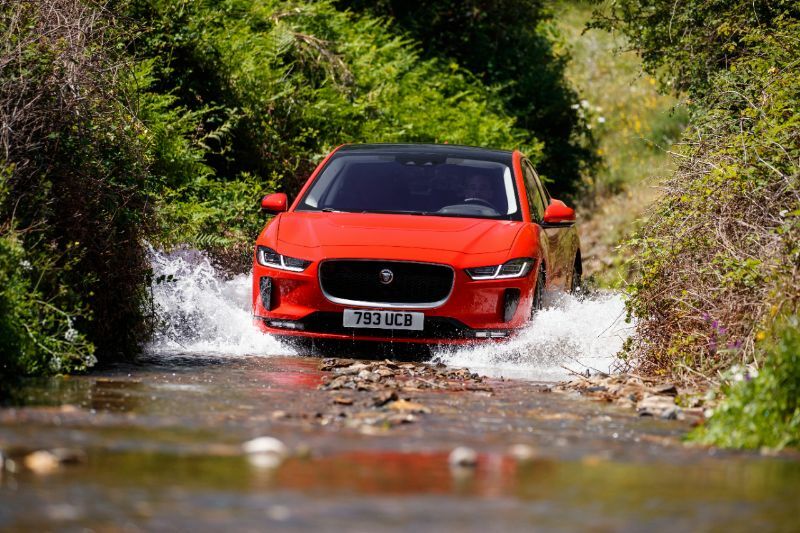 The Jaguar I-Pace has a full complement of safety and driver-assistive features. Experts predict strong safety ratings, although safety testing has not taken place yet. The I-Pace always includes parking sensors and a rearview camera, plus active lane control and low-speed automatic emergency braking. Higher trims also can throw in high-speed emergency braking featuring pedestrian detection, a head-up display, blind-spot monitors, and adaptive cruise control.